We are pleased to announce that GEMINI® Version 8.5 has been certified for EMV chip cards through Mercury Payment Systems, a Vantiv Company and it is already up and running on several of our clients. GEMINI® licensees on new release version 8.5 can accept the new EMV ‘smart chip’ credit cards and process transactions with full end to end encryption using the Mercury encrypted approved terminals. If you are a GEMINI® licensee with upgrade protection and processes your credit cards through Mercury, contact us about your upgrade to GEMINI® version 8.5 for a fully integrated and compliant credit card processing solution for your point of sale! 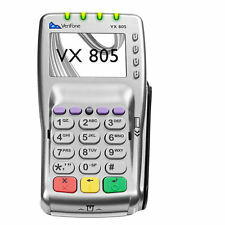 You can purchase the VeriFone VX805 EMV terminal, which integrates with GEMINI®, directly from Mercury Payment Systems – with their required Mercury Encryption.